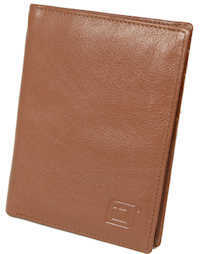 This RFID secure leather passport wallet has 5 card slots, which includes an ID slot. Simply slide your closed passport into the shielded pocket on the inside left of the wallet and it's protected from electronic pickpocketing. 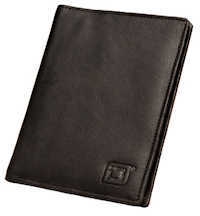 On the inside right of the wallet, use four pockets to protect your credit and debit cards or credentials. Finally, protect your ID in the shielded ID pocket where it is easily available for passport and ID requirements, for a total of five slots. 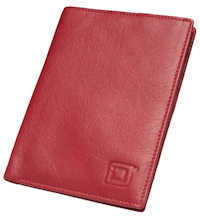 A pocket is located in the wallet, giving additional secure storage for money and documents.